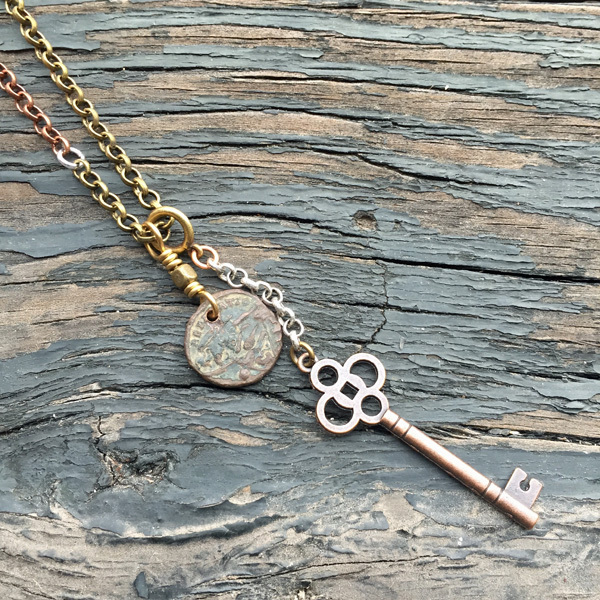 This 36 inch necklace will always feature an ancient Roman coin, but the baubles will vary! 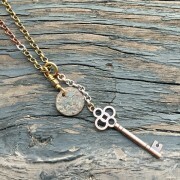 Whether it is an old whistle, a skeleton key, or part of an old watch, you will always know your piece is one-of-a-kind. 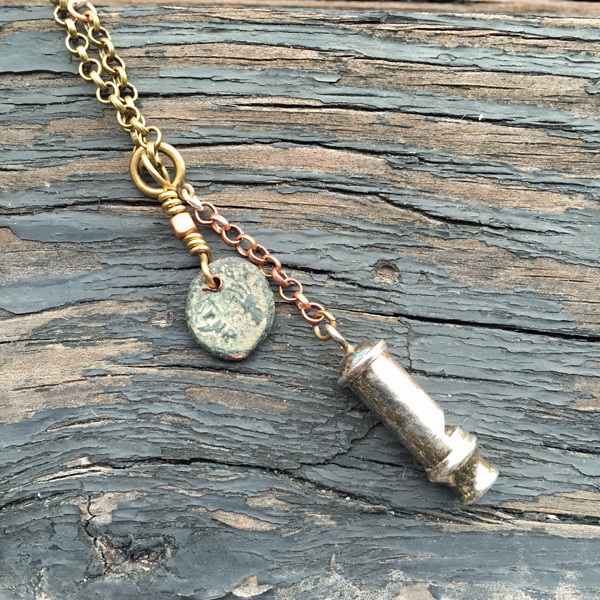 Available in Mixed Metal.